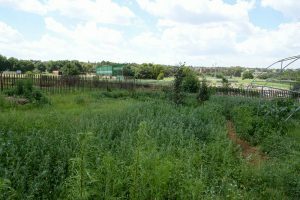 Sparrow Farm is a one-acre food garden located within the grounds of Sparrow Village hospice and orphanage in Johannesburg, South Africa. 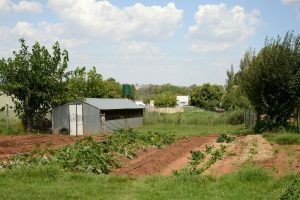 The garden is set up to provide food for about 150 residents and patients of Sparrow Village; this is achieved by growing a variety of almost 30 fruits and vegetables, which includes 5 indigenous plant species, as well as raising chickens for meat and eggs. Just 4 people undertake work in the food garden although sometimes groups of volunteers come and help when things are very busy. As well as growing food for the residents, the Village has also established a training academy for urban agriculture at the food garden. 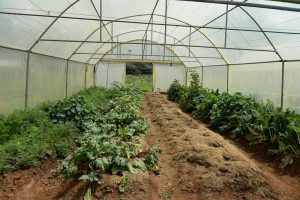 A team of 20 trainers work from the farm, and they in turn have assisted in the development of many additional food gardens in neighboring low income communities. Nutrition is an important part of health, so Sparrow Farm completely embraces the Slow Food principle of good, clean and fair food. In the “Rainbow Nation,” indigenous ethnic groups—the Zulu, Xhosa, Venda and Tsonga to name just a few—have over the centuries been joined by Portuguese, British and Dutch colonizers, then subsequently by waves of Asian immigration. South Africa has the highest number of people of Indian descent outside of India in the world. Hundreds of languages are spoken across the many diverse environments, from the temperate and Mediterranean-like West Cape to the arid Karoo and the subtropical northeast. But the country’s spectacular biodiversity is being destroyed by human activity. Agricultural biodiversity, for example, has been drastically reduced due to the widespread use of GMO seeds. Around 80% of the maize being cultivated is genetically modified. This type of agriculture is linked to the similarly industrialized production of foods high in sugar, salt, fat, additives and refined flour, creating eating habits that are leading to a rapid increase in heart disease and obesity. For these reasons, the Slow Food network in South Africa is working to highlight the relationship between food and health. Awareness is being raised among consumers about the importance of eating local, seasonal food, and the Slow Meat campaign is promoting more responsible meat consumption, with lower quantities, higher quality and the use of different cuts to avoid waste. It is not just consumers who are in need of better information. 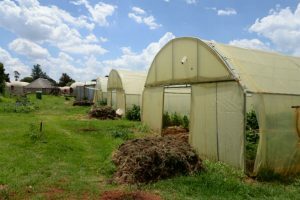 South Africa also has many small-scale farming families with little basic knowledge who urgently need technical training in order to help them develop sustainable agriculture practices. The 10,000 Gardens in Africa project is therefore of particular importance to the country’s development and the health of its people.